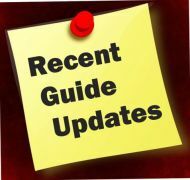 Before we get to this Review & Outlook, below are some of the Best Bullion Market-Related News articles that were taken from this guide's home page, over the last few weeks. 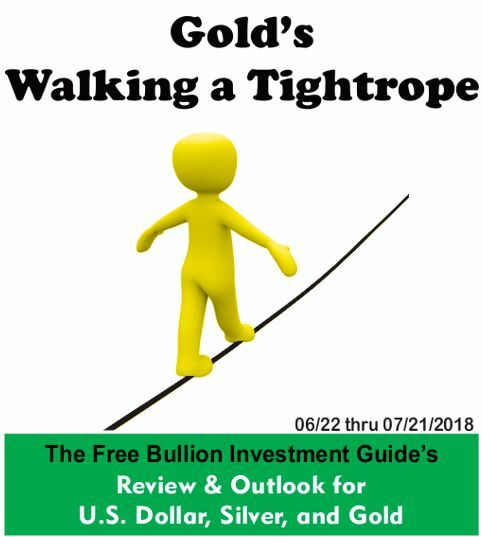 Gold is trading above a thin line that represents whether or not it is in a positive market, as long as it stays above the line, things look good, but if gold breaks it, it could ultimately be as bad as falling off a tightrope for the precious metal. 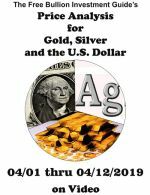 Silver's already fallen below its tightrope, as you'll see in the charts below, we'll see what gold does in the days and weeks to come, but to stick with the order of things, I'll be getting to gold last, first off in the charts below is the U.S. Dollar, then Silver. Three weeks ago, the outlook below was posted for the U.S. Dollar. In the outlook chart below, you can see that the U.S. Dollar's price chart now has two negative 'Rising Expanding Wedge' patterns. The older one is expected to be confirmed before the new one, simply because of where their lower trend-lines fall. This week we may see the dollar finally fall below the bottom trend-line of the two-month-old 'Rising Expanding Wedge,' confirming it, simply because it seems the 'Trade War' is heating up. The tariffs in the Trade War aren't supposed to take effect until July, so because the market is often seen as 'forward-looking,' we may see the expected effects of a 'Trade War' start move the dollar lower. So for the week to come, we may see the dollar finally break below the older 'Rising Expanding Wedge' and possibly the new one too. The U.S. Dollar's movement, this week, is mostly up to how the fundamentals in the market shape up. If there is some kind of positive break-thru that keeps the 'Trade War' with China, Europe, and other countries from happening, then we may see the dollar abruptly stop its fall and either consolidate before more information is released or it may continue to move higher. 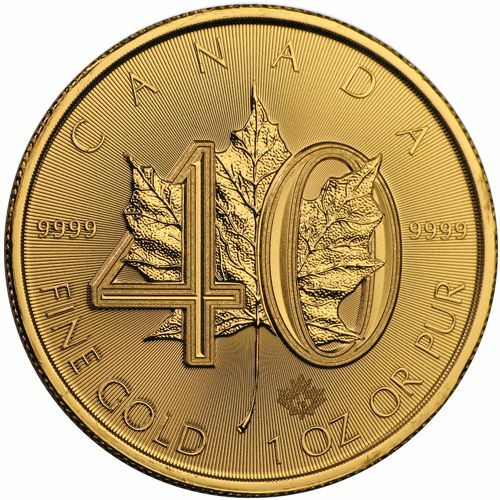 If the 'Trade War' starts as expected, we should see the dollar fall more in price...Time will tell. The U.S. Dollar has moved a lot since the outlook chart above was posted, three weeks ago. However, the dollar did bounce for a short time, but then it finally confirmed the Larger of the two 'Rising Expanding Wedges' in its chart. The move down may have had something to do with the Trade War, but it seems that it had more to do with profit taking than anything else. The 'Trade War' is just beginning, so its a bit premature to think it will have a big effect on the dollar, which is why it has had little effect on the dollar's price, so far. 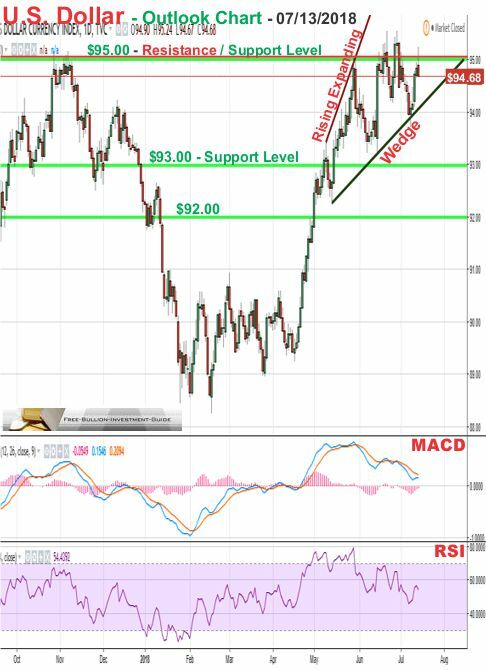 In the outlook chart below, the U.S. Dollar looks to be having a hard time staying above the $95.00 resistance/support level. The dollar's move up has been greatly helped by the Federal Reserve hawkish stance and rate hikes along with the help of the roaring economy and jobs numbers. However, inflation is slowly ticking higher and higher and sooner or later it will start to eat away at the dollar's strength. For the dollar's outlook, the $95.00 price level looks to be it's biggest hurdle, if it doesn't break it, we will see the negative 'Rising Expanding Wedge' pattern confirmed in the next week or two. Three weeks ago, the following outlook was posted for Silver. 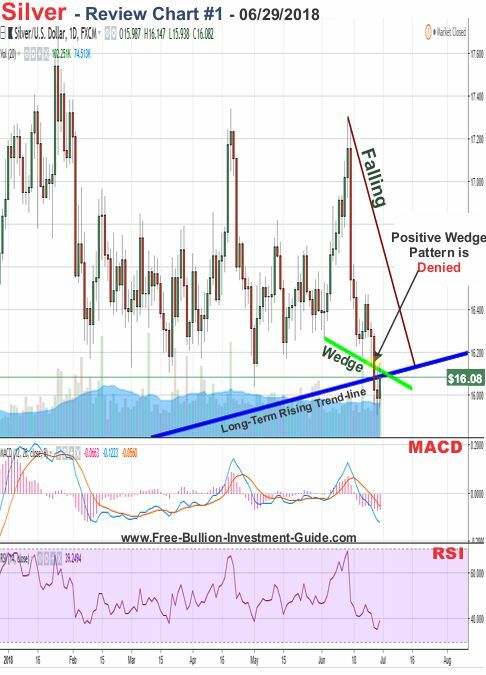 In silver's outlook chart below, you can see that it has formed a 'Falling Wedge' pattern. Even though this wedge is considered to be a positive pattern, because of its proximity to the 'Long-Term Rising Trend-line' its positive effects could be brief. 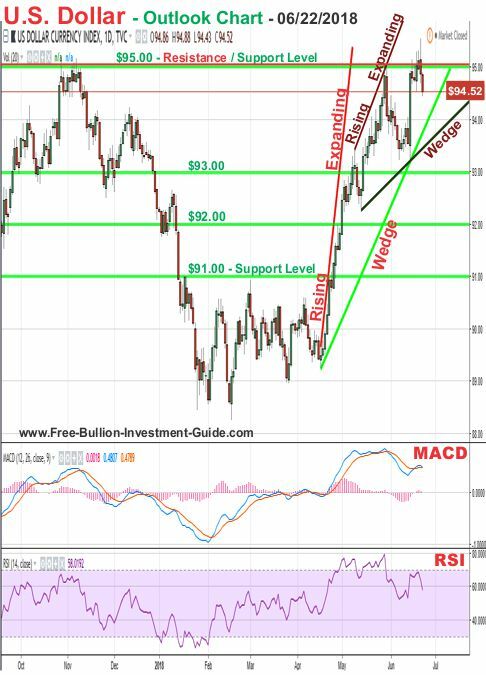 If the price of silver falls below that rising trend-line, which currently sits around the $16.25 level, we could easily see silver fall below the $16.00 level and lower. 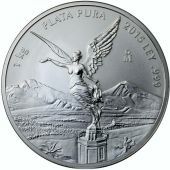 Silver's riding a double edge sword if a full-blown Trade War occurs it could hurt silver's industrial market, which could send its price lower. 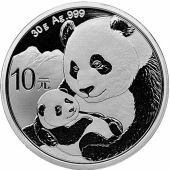 However, silver could see a rise, this week, if traders run to it for its safe haven/inflation hedge side of the market. 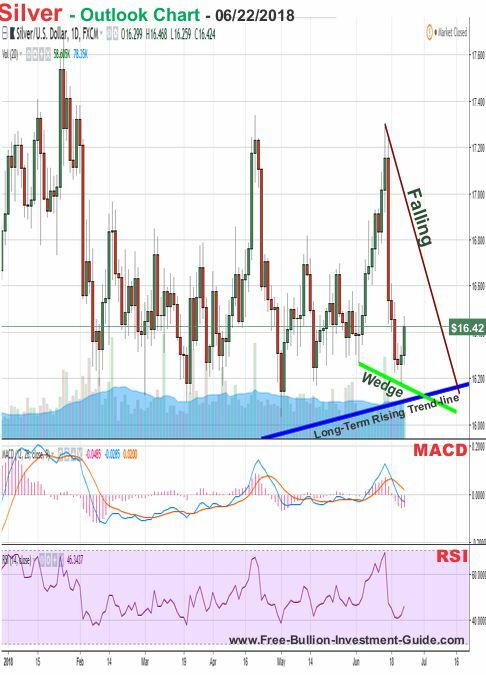 For silver's outlook, the 'Falling Wedge' is broad enough that the price has room to move inside it before it either confirms or denies it. 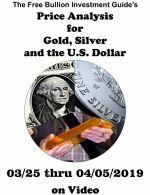 Personally, I'd like to see it rise and get away from its 'Long-Term Rising Trend-line, but I'm only an interpreter and because of all the variables in the market, silver could literally move either way this week. 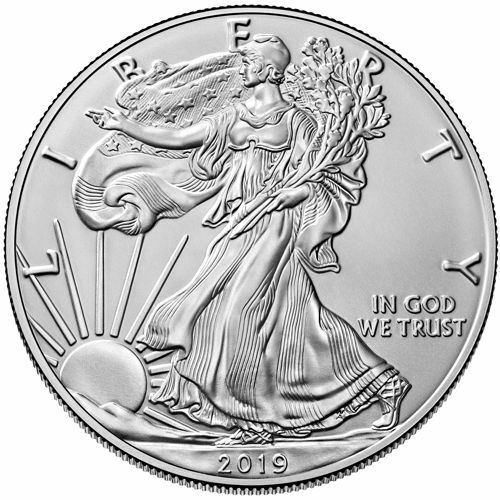 First off, silver's safe-haven properties haven't helped it as of late, nor has the possibility of a 'Trade War,' instead its been the dollar's steady rise that has consistently driven silver lower. 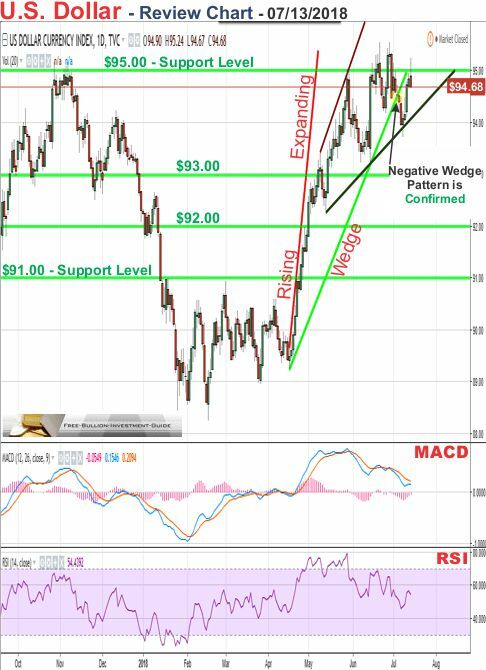 In the first review chart below, you can see that silver broke below the bottom trend-line of the falling wedge, denying the pattern's expected positive movement. Furthermore, by viewing the chart above or below, you can see that the price of silver also broke it's Long-Term Rising Trend-line (tightrope) two weeks ago. This is not a good sign for silver; please continue to silver's outlook section below to see how this action has affected silver. In the first outlook chart below, you can see that silver's Long-Term Rising Trend-line was over 2 years old, and there aren't any more to find. In all honesty, you could draw a trend-line off the December 2015 low to the fat-finger low made in July of 2016 (seen in the middle of the chart below), but I've tried, the line is practically horizontal and isn't worthy of being called a rising trend-line. In addition, now that silver broke below this level, the 'Long-Term Rising Trend-line' goes from a strong support level to a strong resistance level, you will see more evidence of this resistance in the second outlook chart, below. Furthermore, now that we can't draw anymore rising trend-lines, we only find support in horizontal lines, from previous trading levels. 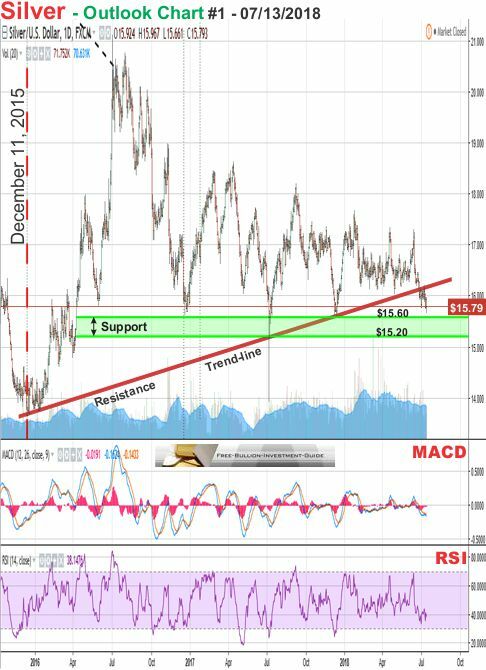 Support for silver now sits in the area between $15.60 to $15.20, as seen in the chart below. Note: the black dotted line, at the top left of the chart, that isn't labeled, was silver's Long-Term Falling Trendline, which it broke in April of 2015. 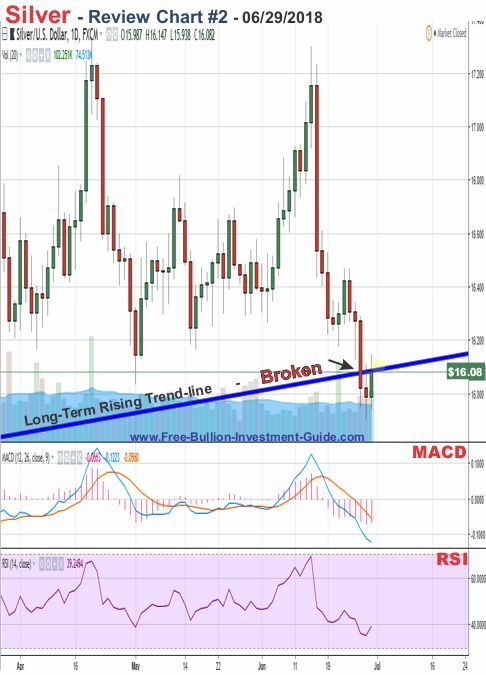 In the chart below, you can see what I was talking about, above, concerning the 'Long-Term Rising Trend-line' turning into a strong resistance level for silver. Furthermore, since silver broke below the rising trend-line it hasn't been able to break above it, and even though it is now trading inside a positive 'Falling Wedge' pattern, it's doubtful that it will break above its new resistance level. So silver's outlook is for it to break and confirm the 'Falling Wedge' to the upside, this week or next, but it doesn't seem to have the strength to break its new 'Resistance Trend-line,' in that move up. 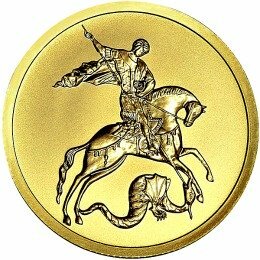 Three weeks ago, the following chart and commentary was posted for gold's outlook. For most of this year, gold, unlike silver, has been trading well above its Long-Term Rising Trend-line. 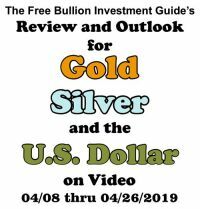 But now, as gold has sold-off, it has helped it come down to silver's over-sold levels, and has brought its 'Long-Term Rising Trend-line' back into view. However, in gold's fall, it has now formed a positive 'Falling Expanding Wedge' pattern. Like silver, it too has been hit by investor's taking on more risk. 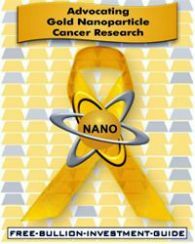 But, that may change this week, as the consequences of a 'Trade War' gets closer, and as a consequence gold may rise as traders seek a safe haven. 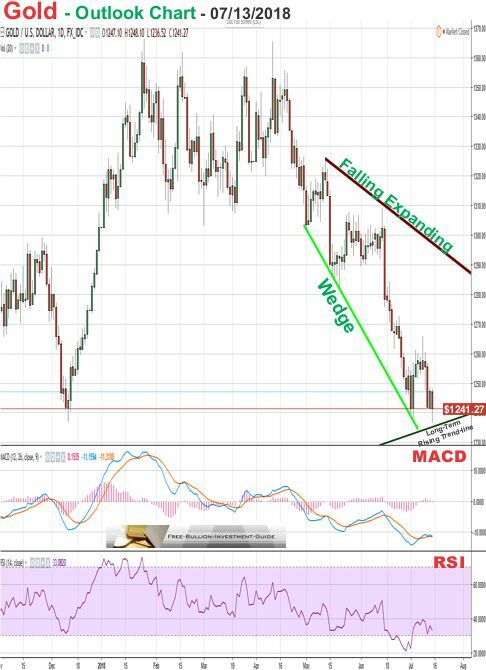 In addition, gold's lower indicator's (MACD & RSI) look to be showing that gold's trading deep in oversold territory and could be about to take more of a move up. Ultimately, time and fundamentals will show us, this week, as to how gold will move. 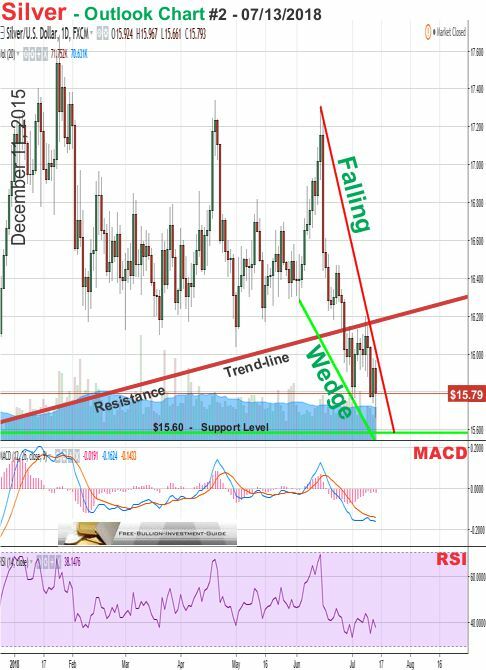 In Gold's review chart below, you can see that the price of gold has continually fallen in price, and its MACD and RSI (lower indicators) have fallen deeper into oversold territory. 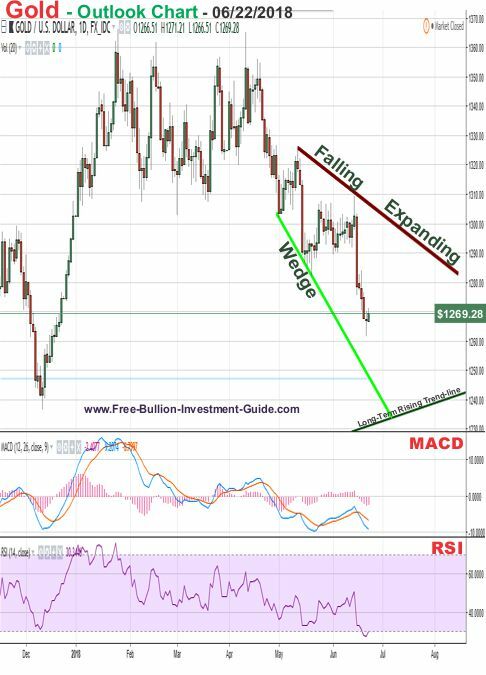 Furthermore, even though the Falling Expanding Wedge is a positive pattern for gold, it hasn't helped gold, instead, the fundamental's behind the rising U.S. Dollar has crushed gold. In addition, in gold's fall, it is now trading along its 'Long-Term Rising Trend-line' or tightrope. 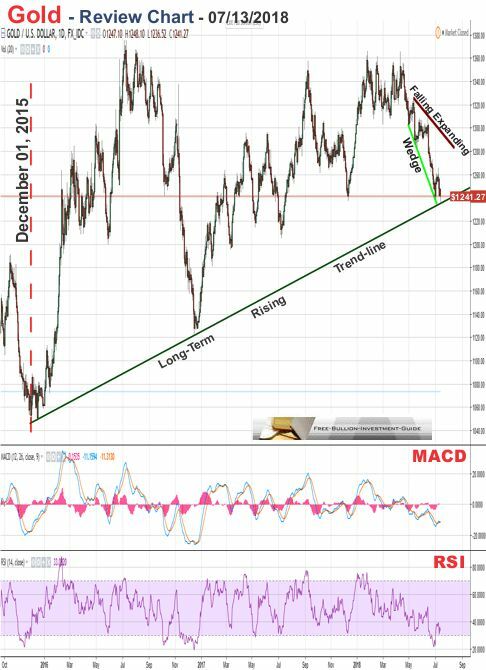 In gold's outlook chart below, you can see that it is practically trading along the rising trend-line and will undoubtedly be 'walking it' in the near future. The fact that gold is trading inside a huge positive Falling Expanding Wedge pattern won't keep it from falling below the trend-line, the only thing that can keep it from falling under the rising trend-line is trader sentiment, and right now it's not good for gold. For the week to come, I'm expecting gold to walk the tightrope, it may stay above it or it may not.